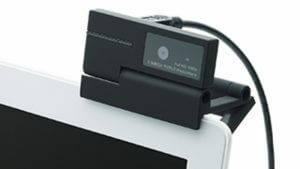 There are a number of uses for the webcam such as video calling through Skype, online teaching, and video conference. 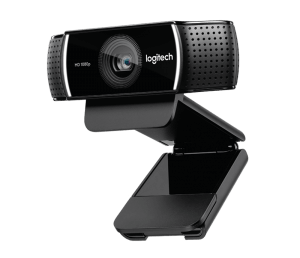 Different webcam manufacturers like A4Tech or Logitech exist on the market to help people making a long-distance calling easy. Now, we’re going to explain some points to help you choose the best webcams to buy in the Philippines. We’ll also tell you our top picks to help you decide which webcam to buy. Take a look at the market for webcams and you’ll find different models with varying functions. To help you choose the best webcam, we’ll show you some important points to help you decide which unit to buy. We’re going to take a look at webcams and their available resolutions, quality, frame rate, and viewing angle, just to name a few. Feel free to use this guide whenever you need guidance on choosing the right webcam for your needs. 1. What is the Image Quality? Perhaps the most important concern for anyone looking to buy a webcam is the quality of the image. Here are the factors to check out to enjoy quality images from your chosen webcam. Any device that produces images will offer a maximum number of pixels, and webcams are no exception to that notion. Webcams are similar to digital cameras in a sense that a higher pixel count means better quality images. Choosing a digital camera requires you to look at the maximum pixel count it offers if you care about the image quality you’re trying to produce with the device. After all, you need to choose a good camera to get good image quality. 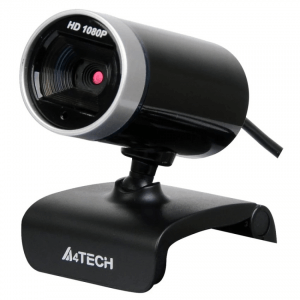 However, since webcams tend to offer specific uses for particular needs, then it’s best to choose a model with a resolution that matches your requirements. Keep in mind that the higher the number of pixels, the larger the amount of data required to send over a network. As a result, it’s not a necessity to use a webcam with a high number of pixels for some purposes like calling a friend through Skype. Also, some computers can’t handle the processing of high-resolution images so you need to consider the specs of your PC before you choose a unit. As a guide, if the webcam can offer more than 1 million pixels then you can let the person on the other end see your facial expressions. On the other hand, if there are over 2 million pixels, then the device can display sharp images which is great if you’re trying to show specific details of an object through a video call. 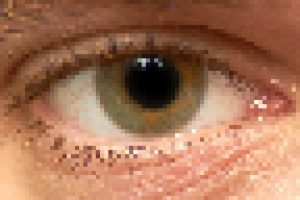 The measurement of a webcam’s maximum resolution is represented as dots or pixels. The larger the number in the maximum resolution, the sharper and clearer the image captured. Higher frame rates from webcams deliver smoother images. The figure attached to that element is the number you want to pay attention to whenever you want to record smooth images. However, just as you’re looking at webcams with their offered pixel counts, some computers can’t handle the processing of higher frame rates. As a rough estimate, if you’re trying to use the webcam for casual video calling, then a model offering 15 to 30 fps should suffice. However, if you’re trying to emphasize motion with your recordings or calls, then you need a webcam with a higher fps rating than 30 fps. 2. Does It Have a Microphone? For video calling through Skype or TV, you need to check if the webcam comes with a microphone attached to it. 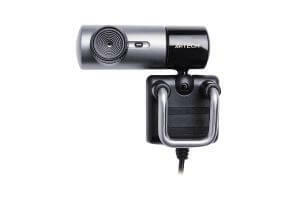 Also, since the demand for online English teaching is on the rise, it’s a must for online English teachers to choose a webcam with a microphone for a clear way to convey lessons to their students. Webcams with microphones are also ideal for lovers, friends, and family far away from each other. If it doesn’t come with a built-in microphone, you might want to look for a model with a headphone jack. In doing so, you can attach your headset or earphones with a built-in mic to properly converse through Skype or other video-calling application. Make sure that the webcam you choose is within your budget. There are low-priced models that you can get for around ₱ 300, but don’t expect much from its performance or features. If you don’t want to blow your entire allowance on an expensive unit but don’t want a cheap model, then you can get a better webcam at around ₱ 500 to ₱ 1,500 price range. If you just need the webcam to chat, then it’s not necessary to get an expensive model. 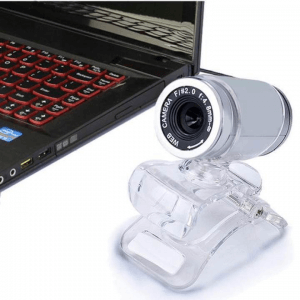 Many people who buy a webcam tend to connect it with a computer, but there are some users who want more out of the device. In that case, then choosing a flexible webcam that’s also easy to install gives great value for money. Webcams with different features might even allow installation on walls, ceilings, and doors. It’s also important that the camera should support wireless connections in this regard so you don’t have to worry about laying out cables across the room. In this portion, we’re going to check out our top picks for the best webcams to buy in the Philippine market. We’ve considered these models to have the best regarding their offered qualities, performances, and specifications. 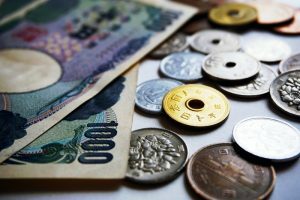 The items listed here provide excellent performance based on their price range. 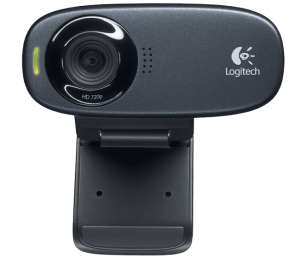 Feel free to check out these webcams to help you decide which model to buy and use. 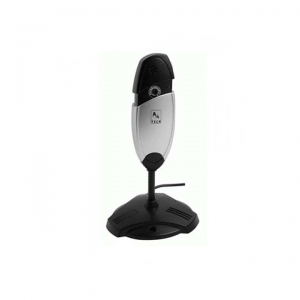 Even though there are many webcams on the market with a cheap price, this model gives you additional flexibility thanks to its 360-degree (left and right only) stand. It also carries a wide-angle lens with a f/2.0 aperture so you don’t have to worry about not needing sufficient lighting while making video calls. You might have to be very careful while manipulating the stand as its made out of cheap plastic. Aside from some price-related caveats, this webcam is a great and low-cost way of starting video calls. 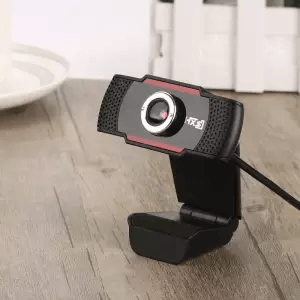 If you like to have a bit of fun while video calling friends and family, then you can use this webcam and its very flexible stand. The device is easy to install thanks to it being Plug-and-Play so you can immediately start broadcasting videos with some wacky Dutch angles if you desire. It even comes with a built-in microphone considering many webcams found below the ₱ 500 doesn’t have one. Even though it only captures videos at 15fps, it’s still a great webcam for some unique video calls. While many webcams in the intermediate price range only offer resolutions up to 720p, this model will gladly let you enjoy 1080p video captures. It can even take quality 16 MP still images which is perfect if you want to take clear selfies with this device. The included application to install and control this device could be better as it’s too simple to make fine adjustments. Nonetheless, the program and the camera is great for people who don’t want convoluted instructions to enjoy 1080p videos. Most webcams you see on the market are built for video calling, but this model emphasizes the importance of capturing videos and still pictures. The device has a built-in snapshot button conveniently placed so you don’t have to awkwardly maneuver your mouse for the device to capture a still image. It may not have the best built-in microphone in the world (the other user might have trouble hearing you even at the highest setting), but it’s still a great webcam if you need an impromptu snapshot. One of the main problems of video calls is the background noise, but this model almost eliminates that issue. It comes with the RightSound technology that enhances clarity in your voice while you’re speaking while subduing ambient noise. Even though the included base doesn’t pan left to right, this device is a great choice for online teachers since it gives great clarity to your voices. Also, the 720p HD resolution of videos is clear and smooth enough as you will experience no lag issues on a PC with decent specs. Many webcams below the ₱ 1,000 price point only offer manual focus lenses; thankfully, this model comes with an automatic focusing system. That feature makes this webcam ideal for showing off products since it’ll automatically focus on the object without you fidgeting over a focus ring. The lens also has an anti-glare coating to generate clear images. However, the built-in microphone easily picks up on background noises. Still, you can get this for video calling or creating product review videos if your work area is quiet. 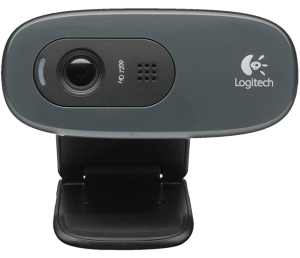 Some webcams have one excellent feature as their main selling point, yet this model ticks many boxes. First, its 720 HD video recording has good quality, and it even comes with built-in pan, tilt, and zoom controls. It might become better if it weren’t for its flimsy mounting system. Still, this device does come with face tracking and motion detection features to ensure your face always remain in focus making it a good choice for video meetings, online teaching, and other purposes. This webcam provides anti-glare and anti-aliasing in one device to provide smooth 30fps video recording. 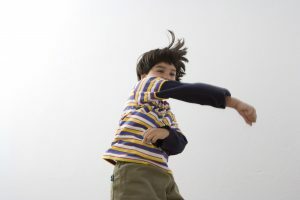 As a result, it’s an excellent choice for people who want to capture motion like creating dance covers. The anti-aliasing feature also comes with virtually no lag at 480p. Recording videos at higher resolutions may present some lag but it doesn’t damage the overall quality of the video too much. 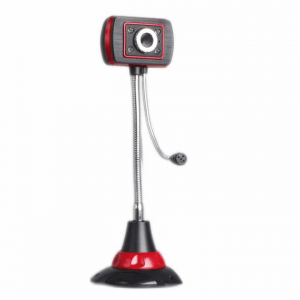 The market has a large population of webcams with stationary stands, but this model takes a unique approach to its base. You can extend the stand to make the camera move closer to you instead of the other way around. Aside from its useful stand, the webcam also comes with a built-in sound absorption microphone to effectively silence the ambient noise. 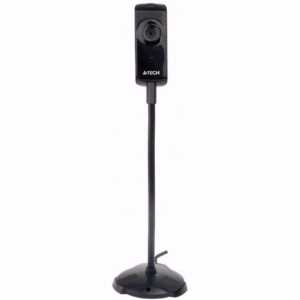 Overall, it’s an ideal choice for video calling in a small to medium-sized room. This webcam does have an expensive price tag, but it comes with high-quality features worth its price. First, it comes with 720p/60fps video recording and streaming, and it also has extended low-light capabilities. The included application even comes with a background-eliminating feature perfect for streaming. Lastly, it comes with dual microphones to deliver excellent clarity for voices. If you have space in your budget and you want a high-quality webcam, then this is your device. Upon reaching the end of this page, you should now have a better idea of what webcam to buy next. If not, then feel free to go back to this page for additional assistance. If you just need to do video calling, then you don’t need a very expensive model. However, if you need a high-quality webcam, then you might want to stretch your budget to get the device.